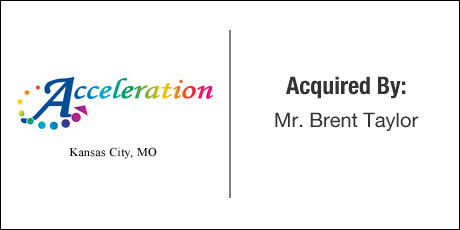 The Buyer: A private investment group led by Mr. Brent Taylor acquired controlling interest in Acceleration, LLC. The Seller: Founded in 2003, Acceleration Laboratory Services, is a FDA inspected contract drug development organization serving clients of all sizes in the pharmaceutical, animal health, other life sciences and food/beverage industries. In 2008, Acceleration was ranked number one on Ingram’s Corporate Report 100, which identifies the fastest growing companies in the Kansas City metropolitan area. The Close: Acceleration had multiple owners all desiring a sale. However, each owner had different needs and objectives. DVS presented their clients with three potential buyers- a Strategic buyer from the same industry, a high net worth Individual buyer and a Private Equity Trust. DVS led the Sellers through the process of deciding which would be the best single Buyer to help the three of them reach their objectives and completed the transaction with a sale to the Private Equity Family Trust.